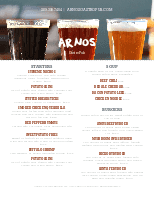 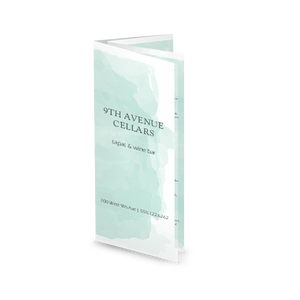 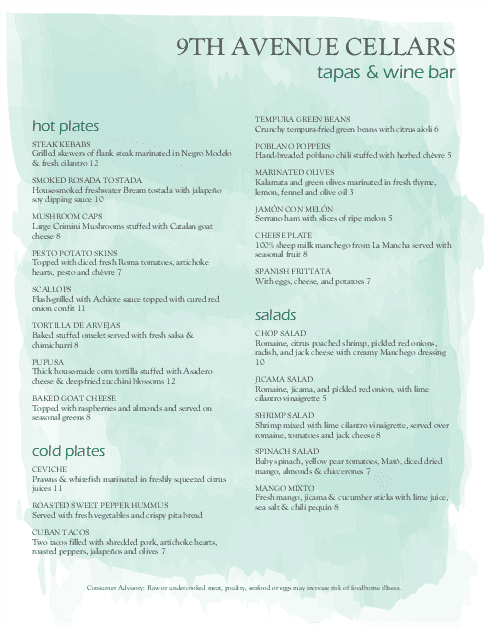 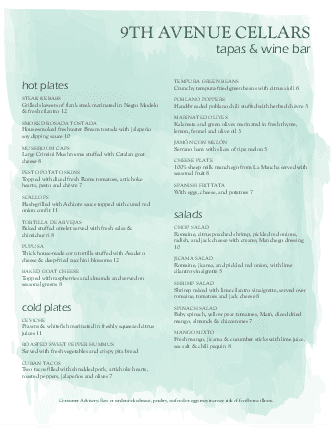 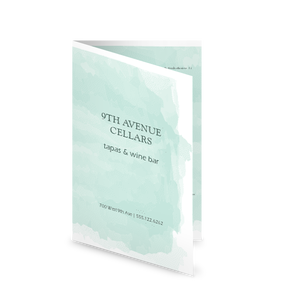 The classic watercolor-style wine bar menu is rendered in light blue tones, like a painting of the sea. 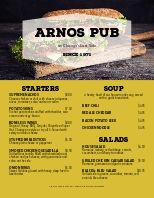 A watermark from a glass circles around text announcing specials or promotions. 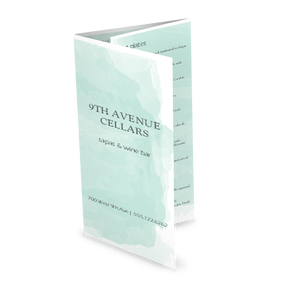 The elegant text is perfect for promoting light bites and dessert wines. 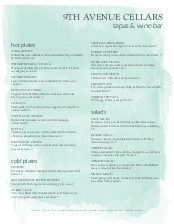 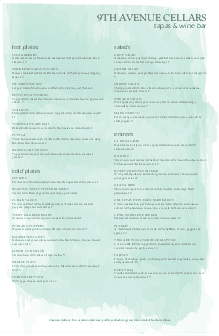 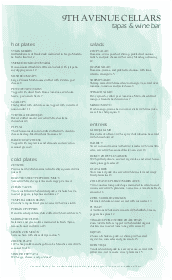 This letter-size wine bar menu can be edited online in the Menu Editor.